Thank goodness we had another worthwhile television event to distract us after the Olympics. Shark Week! 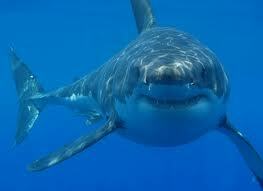 This year marks the 25th anniversary of Shark Week on the Discovery Channel. Originally developed to raise awareness and respect for sharks, it surely also had something to do with creating a stunt that would raise ratings and advertising revenue in the height of the summer TV doldrums. Twenty-five years in, what’s most applicable to our line of work is the bandwagon effect — how Shark Week evolved from being a Discovery Channel stunt, into something we all want to be a part of. The local news had their own themed reports. The Nature Conservancy provided fans with a special shark infested cover photo to update their facebook timelines. And even PBS’ NOVA, posted this about one of their biggest competitors, “Shark Week commences over at The Discovery Channel!” It was everywhere. The Discovery Channel did it right. They built a strategy that had potential. They relentlessly stuck with their strategy over time (25 years!) And they are reaping the rewards of the big payoff today. They win, and the sharks win too, because we really do care more about the amazing world of sharks than we might have ever imagined we would — thanks in part to Shark Week!